Want free updates and tips? Smart phones have become a fundamental part of traveling, and they can be both a blessing and a curse for those who use them. Technology appears to be everywhere. Lets go over a few tips that you should keep in mind while using a smart device while traveling. I won't even mention the obvious ones like Google Maps or Facebook. Of course, of course! How many times have you thrown your arms around like a drunk clown trying to communicate with someone who doesn't speak your language? We have all been there, and while its fun it can sometimes be frustrating. 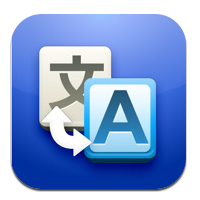 Google Translate is free, and will allow you to translate dozens of languages easily - wherever you are. The only downside is it requires internet to work. If you are going to be traveling without wireless internet I suggest 7-in-1 Offline Photo Translator with Voice by Skycode. It an iOS app, but works offline - which is huge. The number of languages is rather limited - mostly European languages, but have a look if you are going to Europe where 3G internet is too expensive to be worthy. Skype is an app that lets you make phone calls over the internet. You can make free phone and video calls to other Skype users wherever you are on the planet. If you want to call a real phone number it costs a little bit of money, but its not too bad. It works over 3g so if you can get a good 3g plan it is an easy and worthy replacement for real phone minutes. A nice to know secret trick with Skype is they have subscription plans. You can sign up for a Skype subscription for your home country for something like $10 a month for unlimited calling to that country. This is very nice if you are traveling abroad and need to do a lot of business in the US. Skype has very low per-minute prices but connecting a call can be expensive. Available for iOS and Android. Trip Advisor is an international review website and App. Its a holy grail of things to do, attractions, best restaurants, best hotels, and walking day tours. If you are ever questioning the food in an area you can usually ask Trip Advisor for some much needed advice. Whatsapp is an amazing chat app that will completely replace SMS messages. It requires very little internet and can also run on 3g. The best features are the ability to send picture messages and location pins very very easily, and also chat with groups of friends. Try it out. If you have a smart-phone chances are you are going to be taking some pictures. Aviary is a free photo editor with a ton of features. It gives you filters to stylize your photos, the ability to do minor edits like draw lines and text, and the ability to sharpen and fix Red-Eye. This is my goto toolkit for photo editing on my iPhone. 3G is key. If you want Google Maps, Translate, Trip Advisor, Skype, and Whatsapp anywhere and everywhere you will need to purchase some 3G internet. In Asia its cheap and accessible (approximately $5 dollars for a simcard, and $10 for 1.5gb of internet), South America kinda but coverage isn't so good, Europe no - very expensive. Try to get it where you can, if not then you can just use Wi-Fi. Invest in a nice waterproof case to protect your phone. Its impossible to purchase certain models in other countries, especially authentic unlocked and in your native language. This is an asset you must protect at all costs, because losing it is like losing your passport. I highly recommend this one: DRY PAK DP-46 Cell Phone, GPS, MP3 Waterproof Case, Blue Not only does it protect your phone from total submersion underwater. It also protects it from dust, sand, and impact. The attached carrying rope can be affixed to your belt also offering effective theft protection while moving around. Photographs are SOOOO good for remembering things. Photograph all of your travel documents, medical documents, flight schedules, and addresses of places you are. If you have a scuba cert, photograph that too. Photograph business receipts, and motorbike rentals. The camera is absolutely an extensible tool that can and should be overused for everything. Put a number lock on your phone. Even if its easy. If your phone is lost or stolen make sure your private data can not be stolen off of it. It is also good to use services like Apples Find My IPhone or remote wipe. Watch your phone. These things are worth hundreds of dollars and are very common targets for pickpockets and common thieves.